Cyclone – Regina. University of Alberta Libraries postcard collection. Image #PC12864. We aren’t just celebrating the founding of Ecole Connaught. 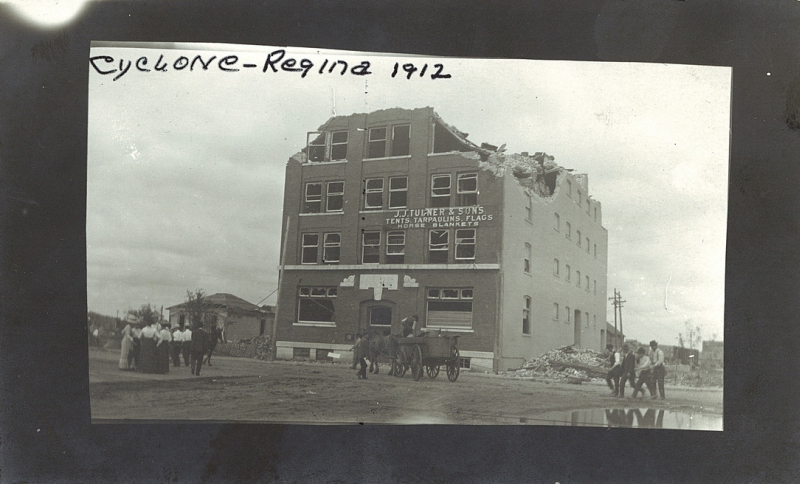 The year 1912 was also a time of rebuilding after a devastating cyclone swept through Regina. Out of the rubble, many cultural institutions were founded or rebuilt that year. Our centennial project celebrates the creative spirit of survival, culture and community through the decades and into the future.